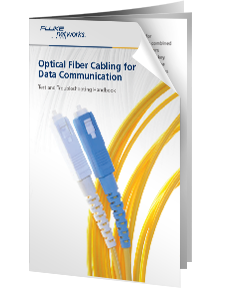 This comprehensive, 44-page handbook is created by Fluke Networks for project managers, technicians and engineers involved in the installation or maintenance of fiber cabling infrastructure. It covers the fundamentals of how to inspect and clean, test, troubleshoot and document fiber cabling infrastructure installations. Many best practices are highlighted that lead to the right fiber certification process. Request your FREE Printed Fiber Test & Troubleshooting Handbook Now while stocks last!